Apotheon is ranked in the 73rd percentile of games scored on OpenCritic. Apotheon is attractive, vibrant, and challenging when Nikandreos is scrapping with a deity or exploring Mount Olympus, but it's dragged down whenever he has to squabble with its innumerable mortal thugs—which is all the time. With such a light story and relatively sparse worlds the game needed its combat to feel polished in order to shine. Sadly the unwieldy controls mean it's an interesting-looking game which never quite delivers. It's sure to capture the attention of anyone who sees it in action. Thankfully, the game more than backs up its aesthetic prowess with rewarding combat and exploration systems in place. While the combat hardly changes over the course of the adventure, Apotheon asks the player to apply their knowledge in such a wide variety of ways that it constantly feels fresh and exciting. The ancient Greeks valued balance and harmony in their art, and Alientrap has accomplished just that. What is [Apotheon's] song? One of delight and wonder, I would argue, an expression of unabashed love for myth. That it's possible to turn such love into an engrossing adventure that coalesces in a way so few games do reminds me of my own love for games and of their potential as a medium of beautiful expression. Apotheon, then, is the kind of videogame we need more of. Apotheon is an experience that fans of metroidvania games will admire for its unique art style and vastly open-ended world. Apotheon is one of the most beautiful games I've ever seen. The beauty of this game mixes well with fast-paced original gameplay to create a truly great game. The game has its negatives but they are greatly outweighed by the positives in the game. Apotheon is a great game that any gamer will enjoy and will have many people coming back for more. Dig beneath the effortlessly stylish veneer of Apotheon though and it soon becomes clear that its impressive calibre bleeds through into its homage to the engrossing Castlevania and Metroid games pioneered back in the 8-bit days. And that folks, minor niggles aside, is a godly thing indeed. Apotheon seemed like a very promising game from its trailers, and now that it's out and I got the chance to play through it, I can finally justify liking it from the very beginning. Apotheon manages to be a truly unique entry into what's a decidedly overcrowded genre. 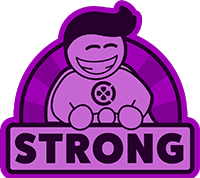 With its polished design, excellent sense of story and beautiful aesthetic, fans of the platformer genre would be remiss to skip over it, despite its at times clumsy combat controls. Aside from the lack of co-op, I can't really think of a more engaging action game than Apotheon. Equally, I can't think of a game that fans of ancient Greek mythology will find more interesting than the story that this one weaves. Sorry, Kratos, but you've got nothing on Nikandreos. A tendency to crash every now and then aside, Apotheon is a shining example of the Castlevania genre. Apotheon builds a wonderfully modern game upon classic Greek tragedy. One of the best Metroidvania games around, with some inspired visuals and great use of its Ancient Greek setting – despite some minor issues with the gameplay mechanics. Alientrap has struck a great balance between their core 2-D Platforming and RPG-lite mechanics, and a varied world that challenges players in different ways throughout the course of this tightly paced adventure. If it played just a little tighter, Apotheon would be brushing up against greatness. As it stands, it's stunning to look at and a pleasure to play, and what flaws it does have can be easily overlooked by anyone looking for something smart and stylish. Despite a control scheme that's anything but perfect, Apotheon is a fun and a memorable experience: the gameplay is brilliant, and the whole product is absolutely artistically inspired. This games stands out as a true piece of epic poetry, and it's something that you really have to play. A combat-heavy, side-scrolling jaunt through the wonderfully unhinged realm of Ancient Greek mythology. Apotheon unites presentation and theme to tremendous effect through its stylised, Grecian pottery worlds. Apotheon is not perfect, but it's still more than fit for a God. Minor crashing and design issues aside, this gorgeously presented action platformer packs plenty of variety beneath its pottery-inspired shell. Plus, who doesn't love Greek mythology? Apotheon is never a bad game, and occasionally, it's even a great game, but it's never consistently great enough to become a classic in the same way other indie titles like Journey have. One of the key factors to my enjoyment of the game remains that Apotheon was free [through PS+ free games]. If the crashes and bugs aren't fixed by the end of the month when this becomes purchase only, I'd be pretty disappointed as a paying customer. 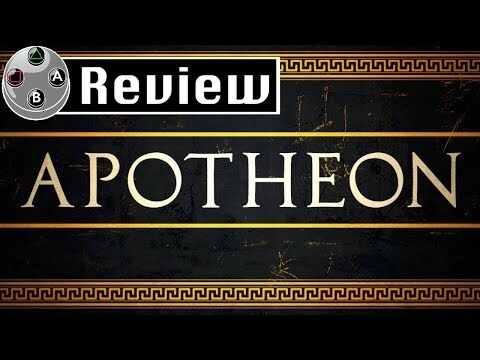 To summarize, Apotheon is a fairly good game, but I feel more could have been added, and certain aspects certainly could have been handled better than they were upon the game's port to a console. Many of the titles added to the PlayStation Network in recent years have impressed me quite a bit, and this is no exception. Apotheon doesn't have the deepest story, but there's enough there to get things done while propelling you into the real action of exploring and fighting. It looks like a game worthy of Zeus, but weak controls keep Apotheon out of the action-platformer pantheon. Apotheon wants to make us citizens, but it ultimately leaves us tourists. Beyond Apotheon's amazing presentation and story is a clunky, combat-heavy Metroidvania that rarely ever pushes players outside their comfort zone. The controls are already weak and frustrating, but even they pale in comparison to a combat system that can be easily abused. Crashes, glitches, bugs and constant below-par combat manage to undermine the gorgeous art style. Stunningly unique but ultimately messy, Apotheon is enthralling Greek mythology caught in the grips of unfriendly combat.